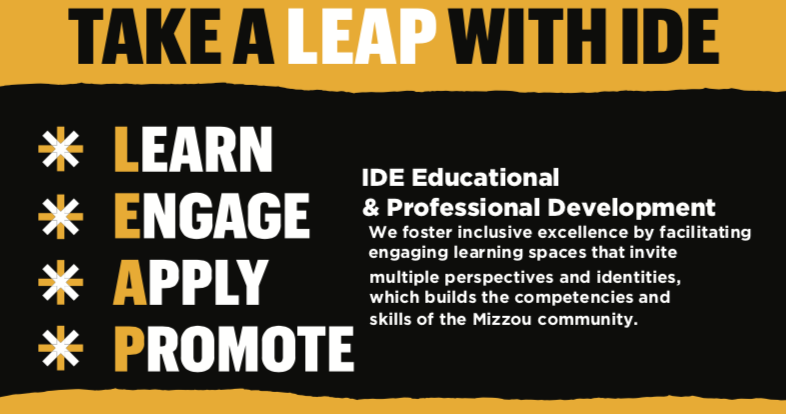 Join IDE’s Office of Inclusive Engagement for our Communicating Across Differences Series. This series is designed to enhance the capacity of faculty, staff and students to engage in conversations about challenging, emotionally laden topics (i.e., race, discrimination, policy, politics, etc.). The skills learned in this series can be applied in the workplace, classroom, and interpersonal and community contexts. Participants are encouraged to bring real-life situations to the sessions to serve as practice and learning opportunities. This series will be offered twice this spring! Pre-registration is required for all sessions. Participants must attend all sessions to earn a Certificate of Completion.